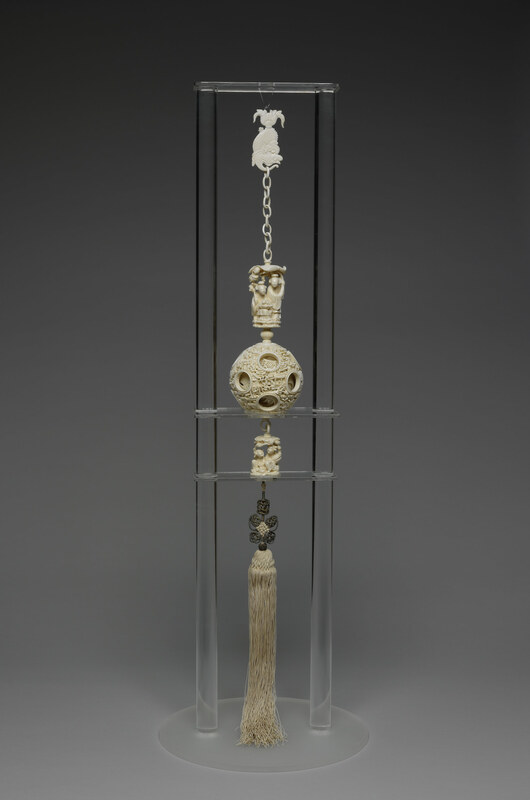 This set of movable openwork ivory balls nested in concentric layers comprise four main parts: a dragon fish hook, two ladies-in-waiting carved in the round, a set of hollow nested concentric balls, and a pendant depicting the Heavenly Twins of Conjugal Felicity. In between, varying lengths of linked chain connect the respective parts, and an additional small round ball is connected by screw threads between the nested ivory balls and the two ladies-in-waiting. 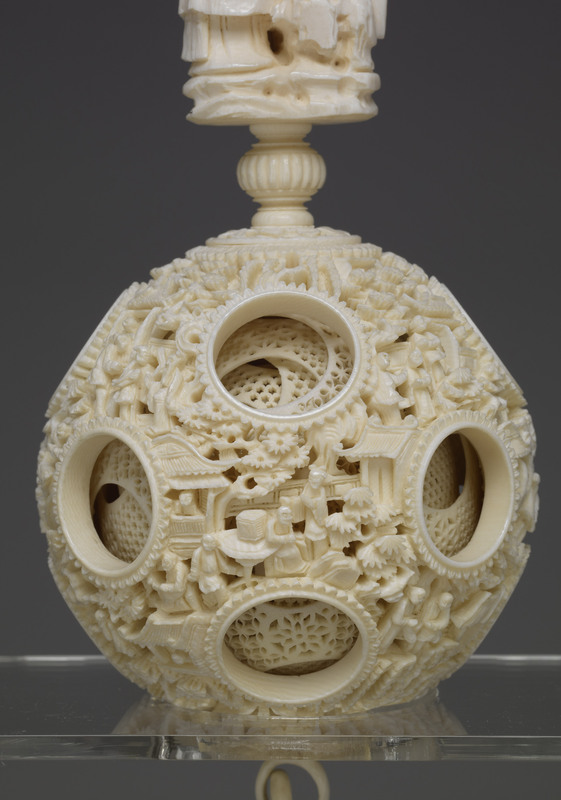 At least 17 nested concentric balls have been counted, with fluid movement allowed between each layer. 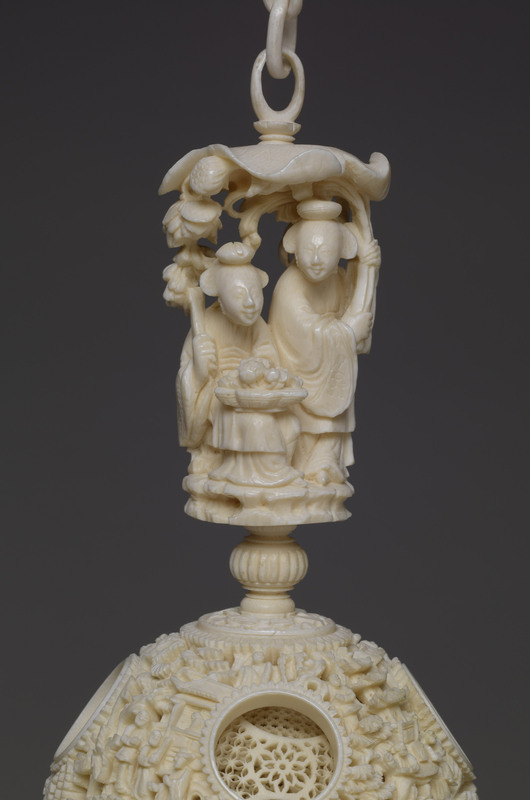 On their outer side, mountain and water landscapes, pavilions, and figures have been carved in high relief, while the inner side is decorated with openwork image patterns. Based on the carving technique and style, this openwork set of nested ivory balls was likely made by Guangdong ivory carvers dating from after the mid-Qing era. 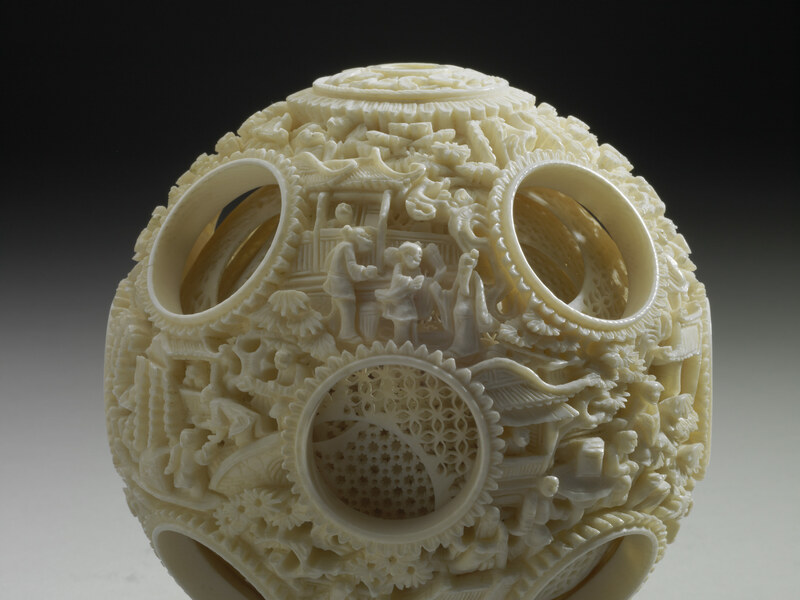 During the Qing dynasty, the linked chains, animated openwork, floss weaving, and nested concentric ivory balls of the Southern School of ivory carving were so wondrous that they were referred to in the Beijing Imperial Workshop as "the work of celestial beings".